The following plan is a simple yet effective method to connect with the people with Uttarakhand and make them aware of their rights. It is cost-effective and realistic. A good plan need not constitute one complex strategy with several graph and map references but rather a mixture of several simple ones while keeping in mind short term as well as long term goals. If followed, the people's lives will be as beautiful as the region. (in Garhwal area i.e. Tehri Garhwal, Pauri Garhwal, Uttarkashi, Chamoli, Dehradun, Haridwar and Rudraprayag districts). Every initiative should have a catchy name or a slogan which becomes a common phrase in daily use. The campaign should cover these two dialects as well as Hindi and some even in English. This is more of a marketing strategy. People still remember Tata tea’s ‘Jaago re’ which encouraged people to question government authorities, stand against corruption, vote, etc. Did it work? All these little ads, slogans, movements, etc do not directly don’t seem to make much difference, but the statistics of the desired results should speak for itself. After the ‘Jaago re’ campaign, the number of people between age groups 18-25 who applied for election cards increased substantially. Just like advertising increases sale. Comparing a social awareness campaign to a product or service may not seem appropriate, but in reality the methods that have to be used to spread awareness of a product and campaign are similar. It would be worth noting here, that while using a symbol to represent the initiative, the symbol should not be something over used like scales or a gavel (judge's mallet). Even when selecting people to represent the initiative, the person should be someone who the people of Uttarakhand, especially those in undeveloped areas can actually relate to. Either famous celebrities like Anushka Sharma, Mahendra Singh Dhoni, Jaspal Rana, Bachendri Pal, etc. who were born and brought up in Uttarakhand or just simple labourers of Uttarakhand. Uttarakhand is already a wonderful place for law studies and the law colleges of Uttarakhand have shaped many well known lawyers. A growing affinity towards law as a discipline for higher studies has been observed in the youth of Uttarakhand in the recent years. A big segment of the students are opting for a career in law as they look at it as a solution to the problems of their families and society. The significance of Uttarakhand law colleges have therefore increased in the recent years. The Indian judicial Services also open up avenues for high-status government jobs in the public sector. The law colleges in Uttarakhand teach their students how to fight against social evils and stand up for their, as well as other's, basic rights. However, as the campaign grows, the requirement of efficient law colleges will increase. Admission into law courses should not be too competitive. 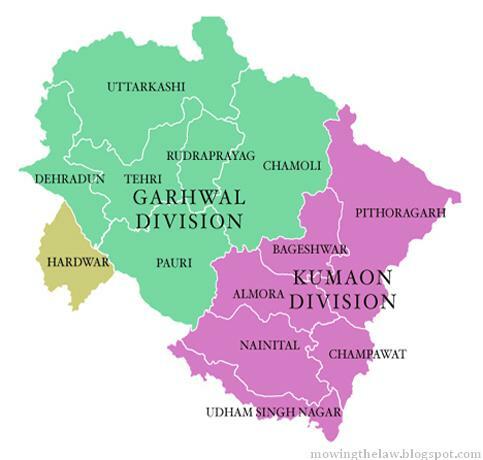 List of law institutes in Uttarakhand are given in ANNEXURE A. One must not underestimate the legal-aid committee in Law colleges. The law students in these committees, although lacking legal expertise, have the ability to not only spread awareness, but also help enforce the basic rights of those in undeveloped regions. For example, they can associate themselves with an RTI activist organization and help people file RTIs. It is not uncommon for these students to visit rural and undeveloped areas to talk to the people. In some cases, they also organize street plays in the local languages and perform it weekly, each time in a different area. They even help people get in touch with lawyers who can file PILs or other petitions or suits for them. Visiting jails and helping inmates apply for bails or deportation is also part of their programmes. But why should such activities be limited to only law students? People will be surprised to know how many students want to contribute to society but are not organized enough to do so. Will power is ample in the youth, methodology is rare. In return, they expect nothing, no money, no pictures in news papers; they may not even put it on their C.V. Among all the methods to connect with a community, this by far is one of the most direct, effective and pure. Now a day, having a mobile is common, even in undeveloped or rural areas. Viral marketing is basically a marketing strategy that compares spread of ideas to spread of viruses. Imagine if one interesting SMS is sent to ten people. Out of those maybe five will forward it to ten other people. And each of those ten send it to ten more... and so on. The message multiplies at an exponential rate. This of course, is all theoretical. However, imagine if the 'legal awareness' campaign associates itself with Mobile Operators and sends just one lakh messages to those mobile numbers that SMS frequently and have a good messaging scheme. Furthermore, imagine if the message is one worth forwarding like for example, 'Under Section 51 of Cr.P.C., a female can only be searched by another female with strict regard to decency. Forward to all women! '. Such a message can be sent using different languages and wordings. Since the people in Uttarakhand are often deprived of their rights to the use of common land, sending messages in relation to property rights may prove fruitful. To spread the word in urban areas, simply advertising a Facebook page, frequently giving updates on a Twitter account and using other social networking sites can make ample of difference. Associate the initiative with a product. Preferably something that uses a slogan or motto similar to the one you are using. Once again a good example would be the ‘Jaago re’ of Tata tea. Advertising your campaign directly on T.V. is an unnecessary waste of time and money. People who are well off enough to afford cable should not be first priority. Advertising this way is something that should be considered once the campaign has already had a good start. Once a full-fledged campaign is launched, government assistance can be sought. Apart from sponsoring programmes they can also grant tax exemptions for movies, literature, etc. that encourage people to stand up for their rights. Joint meetings with Government officials can give the campaign a better direction. Focus can be put on rights related to right in common land, livelihood, subsidiaries and facilities. Special permissions such as those required for to enter jails and interview with inmates to check if they are not being ill-treated can also only be obtained quicker with Government co-operation. Draft bills can be proposed to be tabled at the state Parliament. Strictly sticking to only spreading of awareness of basic and fundamental rights is not enough. You have to think long-term and look into other areas that require attention. Like plans that encourage education upto even just 10th grade or creating awareness of HIV/AIDS. Taking up the task of ridding anti-social elements such as superstitious and harmful rituals, which hardly any activists groups have taken up is even better. Awesome post written on legal awareness. I like the content and points about legal help. Should Prostitution be Decriminalized in India?